du has been awarded this year’s Dubai Lynx Advertiser of the Year. 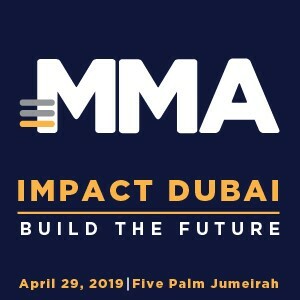 The award is presented annually to an advertiser in the Middle East & North Africa (MENA) region who sets themselves apart through the caliber of their creative and innovative marketing and communications. Over the past four years du has won 39 Dubai Lynx awards including 3 Grands Prix, 13 Gold, 16 Silver and 7 Bronze Dubai Lynx awards. Last year’s success alone included two Grands Prix in Integrated and Interactive for ‘#POSTWISELY’, a campaign that inspires the online community in the UAE to think before they post personal information on social channels. “In recognizing innovative marketing and inspiring creative communications the Advertiser of the Year Award focuses on the phenomenal talent, effort and the creative bravery displayed to bring ideas to life. du has proven to live its company mission to ‘enhance your life, anytime, anywhere’ through its engaging creative work and we’re delighted to be able to honor this and celebrate its continued success,” said Jose Papa, Managing Director, Cannes Lions.. Opened in 2006, du has constantly worked to enhance and expand the variety of services across the telecommunications industry for the millions of customers they serve in the MENA region. The company has over 2,000 people from more than 60 countries working to develop their services and is committed to reflecting the diversity of the public they serve. Alongside services such as telephony, data hubs and internet exchange facilities, du is dedicated to implementing sustainability practices across all aspects of the business. The creative range of campaigns surrounding ‘du Tuesday’ were successful both with customers and at Dubai Lynx. Promoting an offer of two cinema tickets for the price of 1, the iterations of the campaign evolved over the years but consistently displayed excellence in craft, winning multiple Film Craft awards. du will be presented with the Advertiser of the Year Award at the Dubai Lynx Awards Ceremony on March 14 2018 in the Madinat Jumeirah. The Awards Ceremony will see 10 jury presidents awarding the 2018 Lynx Awards along with the winners of the Young Lynx PR, Print, Integrated and Media competition and this year’s University of the Year. The Masar Student Creative Award for Print and the STC Student Integrated Competitions are announced at a dedicated Student Awards Ceremony on the final day of the Festival.